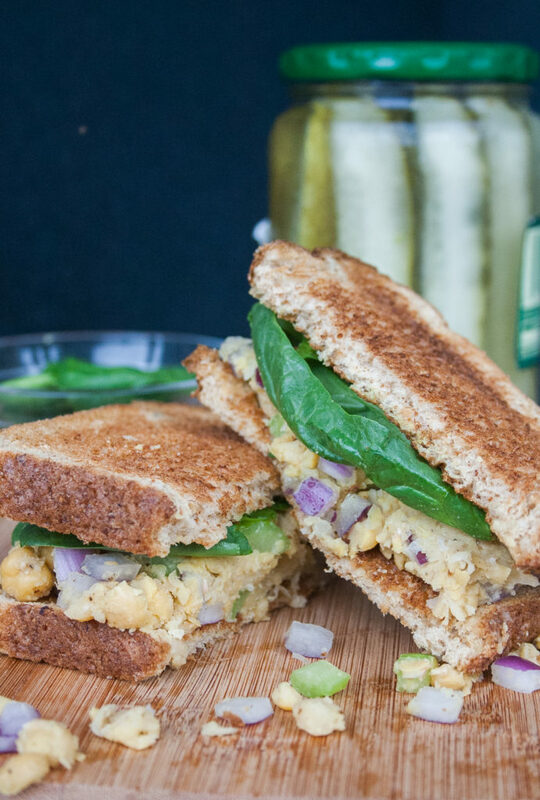 Chickpea Salad Sandwiches. 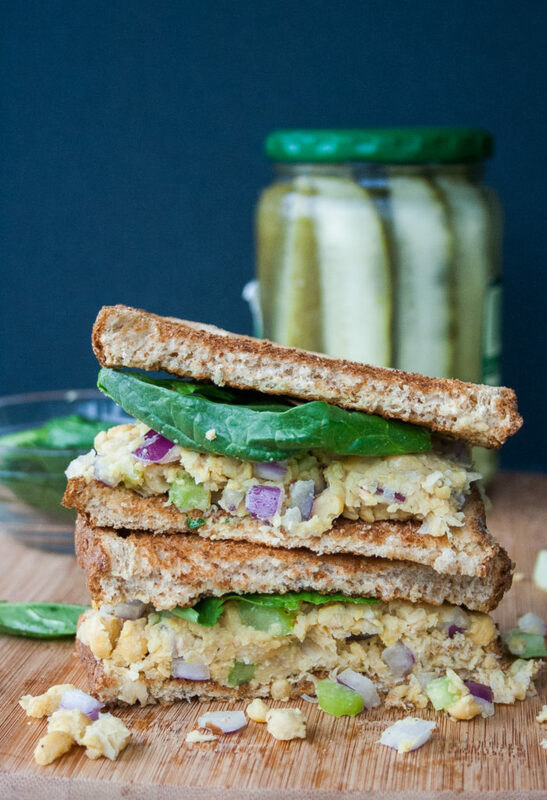 A healthy and hearty spin on traditional chicken salad that’s perfect for vegans or those looking to add variety into their sandwich routine! 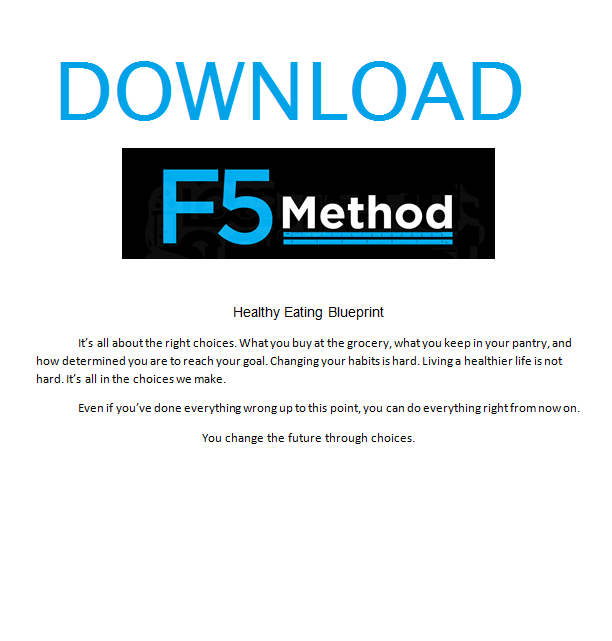 Fiber Content: There’s about 6 grams of fiber per half cup which helps promote digestive regularity. Bone Health: The iron, phosphate, calcium, magnesium, manganese, zinc, and vitamin K in chickpeas all maintaining bone strength and structure. Inflammation Reduction: Chickpeas are a good source of choline which helps liver pathways detoxify the body. It also assists brain development, muscle growth, nervous system function, and proper metabolism of cholesterol and fat. Heart Health: The fiber, potassium, vitamin C, and vitamin B-6 levels in chickpeas all aid heart health. Folate: Chickpeas are rich in folate which helps support DNA health by assisting the body in producing and maintaining new cells. ….and that’s just scratching the surface! If you’re hungry for more chickpea facts, check out this link. 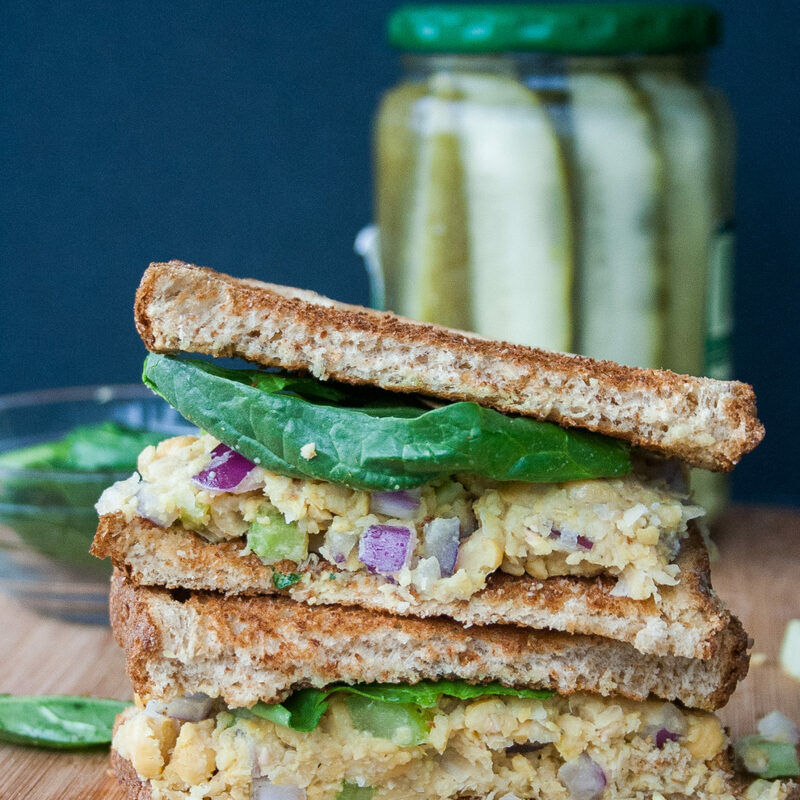 My love for chickpeas inspired me to create a mock “chicken salad” sandwich recipe. 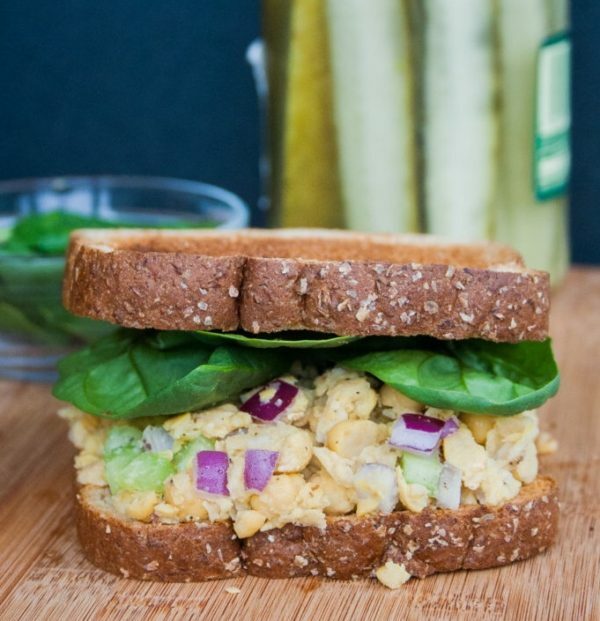 I add in the basics of chicken salad, celery and onion, mashed together with chickpeas to produce a flavorful and filling vegetarian alternative to the popular sandwich! Hungry for more chickpea deliciousness? Check out these Chickpea Quinoa Bowls. Nutrition facts are for the chickpea salad only, add your choice of bread. 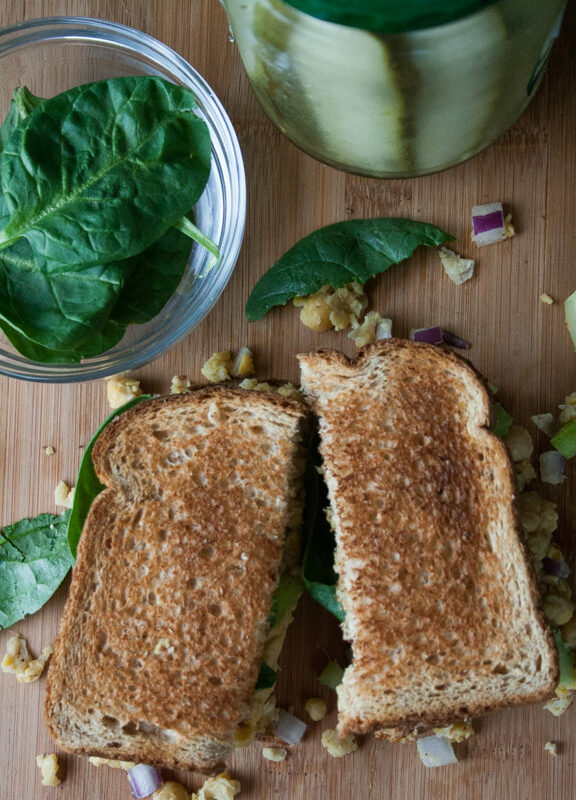 12 slices toasted whole wheat bread you may sub for wraps, rolls, or whatever else you like! In a large bowl, mash the chickpeas and olive oil until mostly mashed but with a few whole chickpeas. Add the red onions, celery, salt, and pepper. Continue to mash/stir until evenly incorporated. 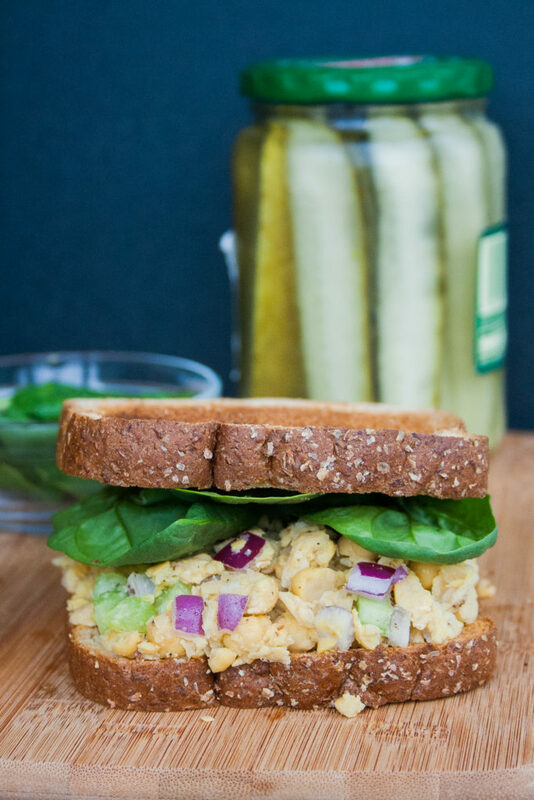 Spoon chickpea salad onto the bread, roll, or wrap. Add any desired toppings (tomatoes, spinach, mustard, whatever your heart desires, etc)!